Below are the DuitNow details. The bank information is also available in the customer account order history. 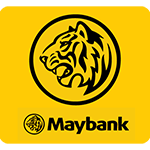 If you have an account at Maybank2u, then this is the easiest method to make payment. First proceed with checkout and complete the order. After that just click Maybank2u Pay button above to make payment. You don't have to key-in our account details. If you don't have Maybank2u account or want to make manual Internet Banking transfer to our Maybank account, kindly refer to table below for our Maybank account number. 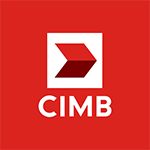 Manual Internet Banking Transfer, Cash Deposit or ATM Transfer can be made to our CIMB Bank, Maybank or RHB Bank accounts. Bank deposit can be made by internet banking, cash deposit machines, ATM machines or cash deposit at the teller. Bank deposit from the same bank is instant while bank deposit via interbank transfer may take up to two (2) working days to clear. We will not ship the item(s) until we received the payment in our bank account. If you make internet banking transfer please include our email "[email protected]" under recipient email. For other type of deposit, please email us the transaction conformation slip. Below are the bank details. The bank information is also available in the customer account order history. All orders within Malaysia will be delivered via Poslaju. The item(s) will be sent within two (2) working days once we received the payment but normally it will be send next working day. ► Order at least RM300 will be entitle for FREE Poslaju. ► Order less than RM300 is subjected to RM8 Flat Rate for shipping within Peninsular Malaysia & RM10 Flat Rate for shipping to Sabah, Sarawak & Labuan. For international orders, the item(s) will be sent via Registered Parcel or Express Mail Service (EMS). Registered Parcel will take between 14 to 30 days to arrive while EMS will take between 3 to 10 working days. Please contact us to find out the shipping rate. To track your Poslaju shipment kindly proceed to Poslaju Tracking page. Looking for a code for international bank transfer? Refer to SWIFT Code or BIC Code table.